Some cars wear badges that have been around for decades. Here's what those years and years of improved technology and build quality look like. The original Skyline GT-R used to be a very light and rev-happy sedan or coupe born to be raced. The spiritual successor however is a supercar-beating world-class sportscar. What started out as a cheap economy car with an overly complex emissions system ended up being good enough for people who were fast and/or furious. The Civic Type-R is a proper hot hatch and a true modern classic. The F-150 was introduced with the sixth generation of the F-Series, and what used to be just a trusty utility truck developed into a family with a racer at the dinner table. No wonder it's Ford's best seller. It was pretty from day one, fast from day two, but became brilliant in the seventh day. 1953 - a 155 bph, sedan chassis-based, parts bin special. Early 911s are beautiful but will try to kill you. 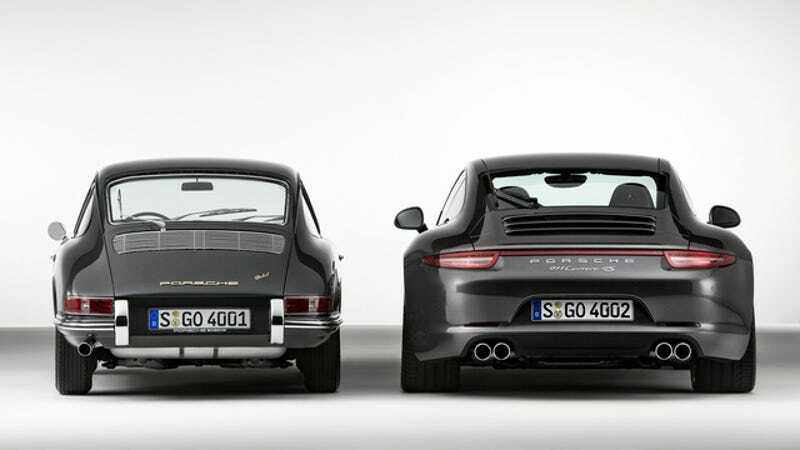 Current 911s are beautiful and will make you go faster than you could imagine. It took the Germans fifty years, but they continue to make something great perpetually greater. The European Focus was always nice. In fact, the first generation was the favorite of the press for years. The North American version on the other hand was pretty meh up until recently. Today, the playing field has been leveled. One is a military truck. The other is something you can live with every day. In peace. The Korean car industry did what the Japanese back in the eighties, only faster, with some Western help. The results are staggering. The Sonic (formerly the Aveo) used to be a miserable Korean economy car. Chevy improved it so much that it's actually a good choice today. The entire list could be made of Korean cars, but the Sonata wins. What used to be a badge-engineered terror of European and Japanese bits became known as something even the Europeans and Japanese should check out. Now that Korea is the new Japan, I guess we just wait until China becomes the new Korea. An upgraded copycat, anyone? The Sonata has to be in the top 10.